Made in the UK, the best garden furniture for your home. 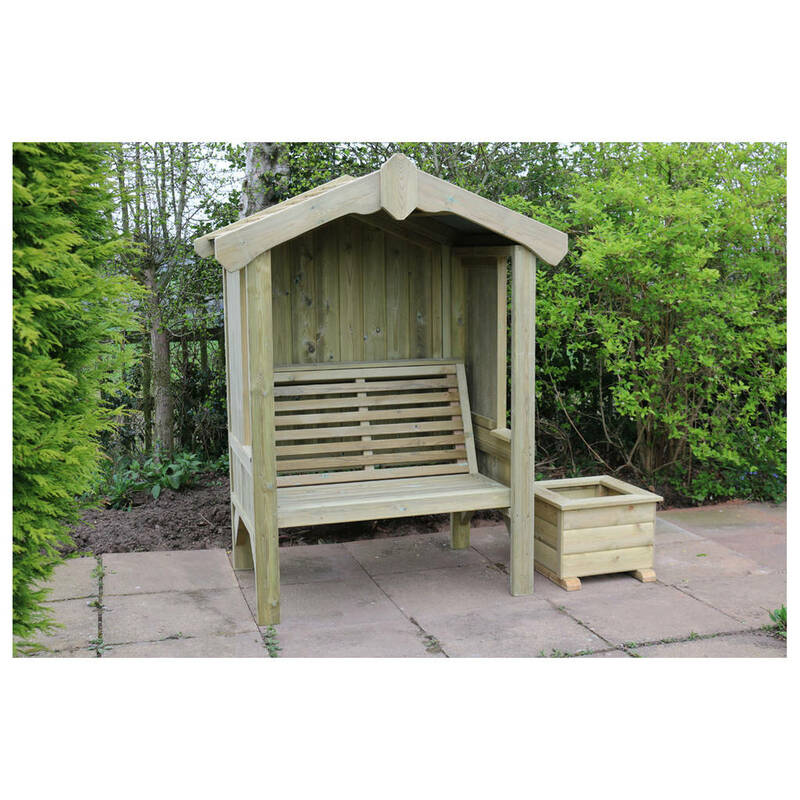 Enhance your garden with this magnificent handcrafted garden arbour. 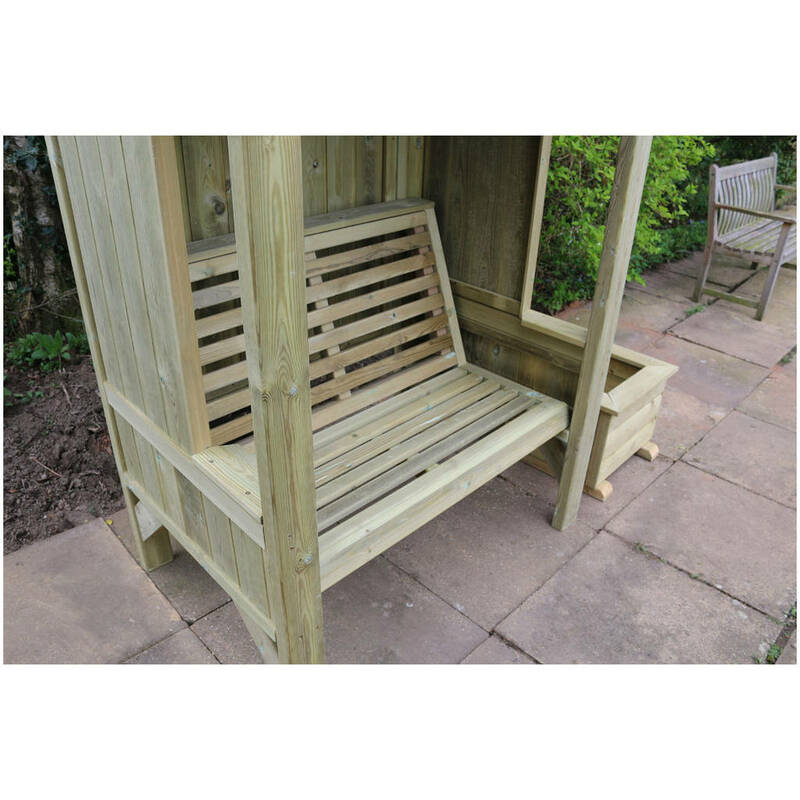 Enhance your garden and create your own peaceful sanctuary with this magnificent handcrafted garden arbour. The Cottage Garden Arbour is enclosed to protect you against the elements of the British weather. 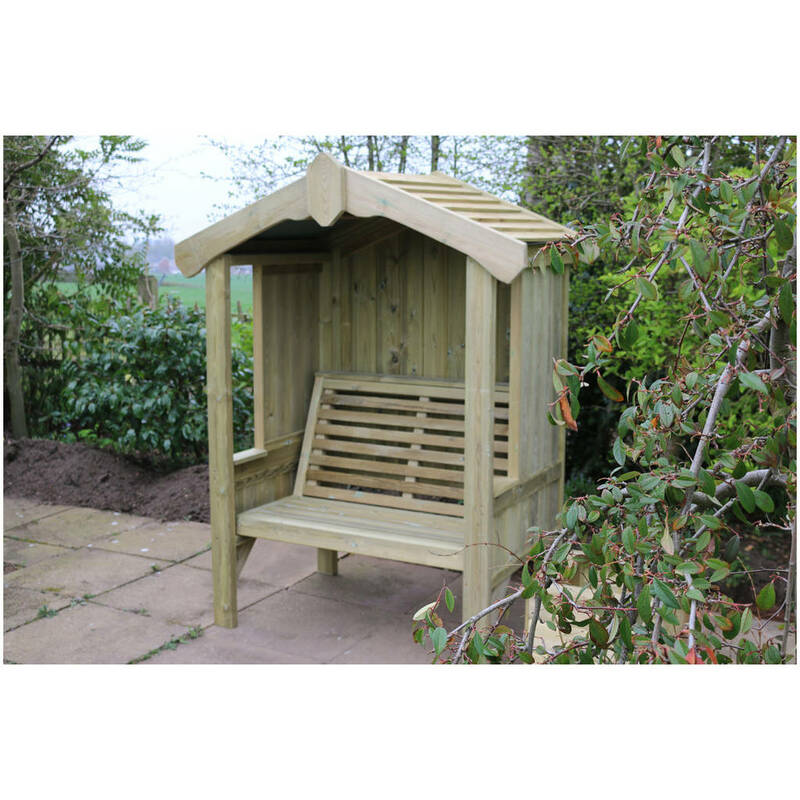 Relax in the garden in this beautiful arbour no matter what the weather. The Cottage Arbour has felted roof and then it has boarding over the top for a lovely effect. When this product was manufactured it had a lot of thought placed in it to suit your needs just look at its cup holders which comfortably sits a mug of tea or glass or juice. This product is dispatched to you by Hibba Toys of Leeds.